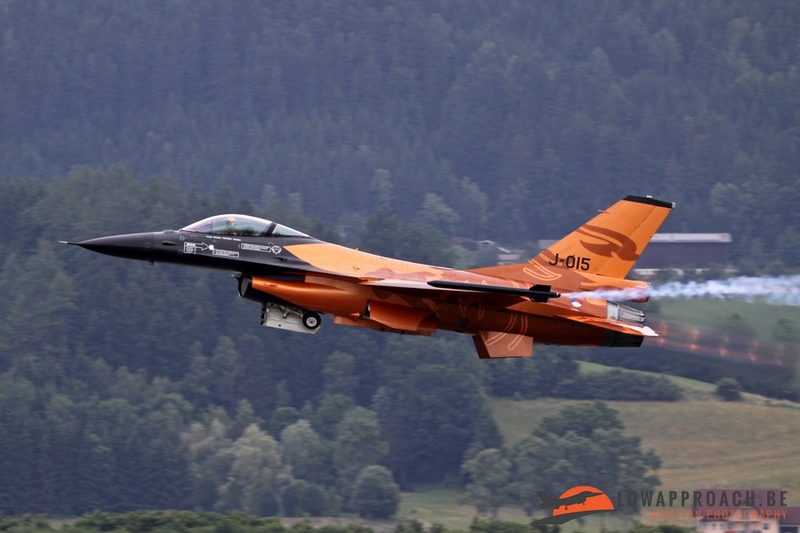 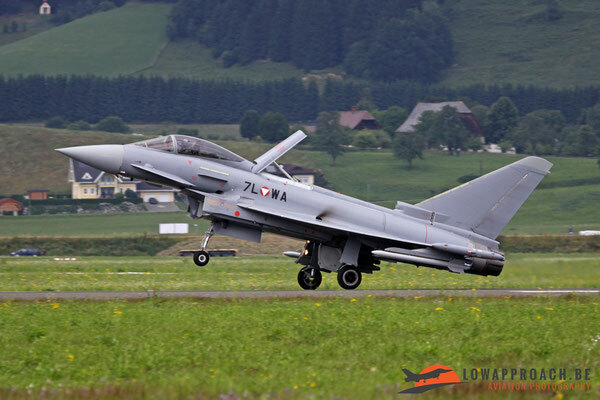 In the first weekend of September 2016 the Austrian Air Force will be organizing Air Power 16 at Zeltweg airbase near Graz. As this event is not organized on an annual basis we thought it might be interesting to look back at the previous edition which was organized in 2013. 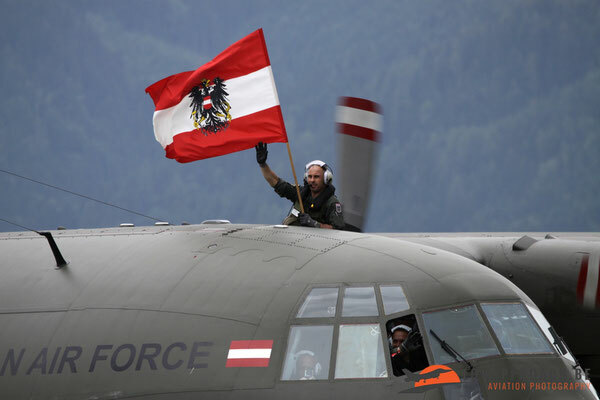 As the name of the event indicates it is all about a show off of the military air power of Austria and some of its allies. 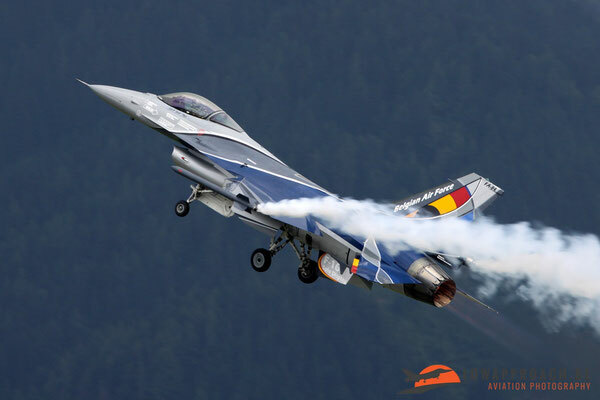 A main element in the flying display is the demonstration of the various tasks performed by the Austrian air force. 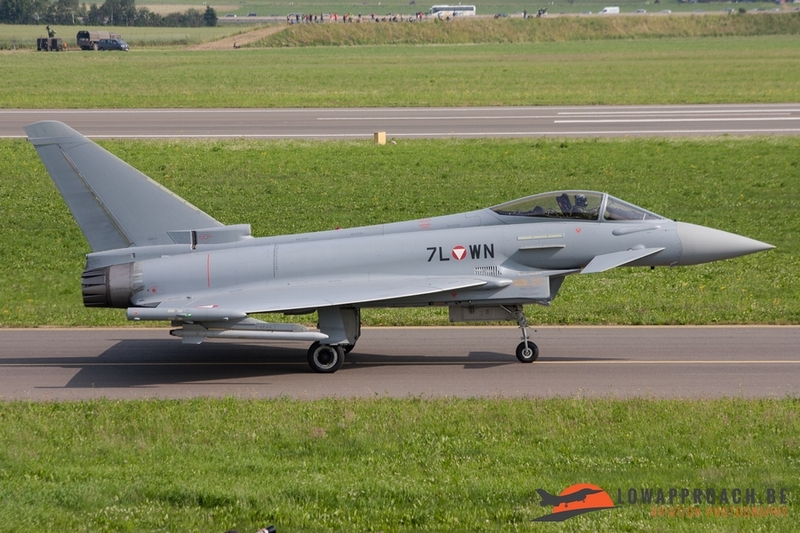 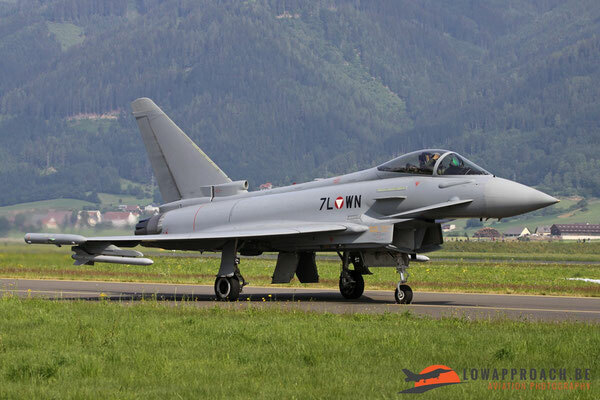 The principle fighter aircraft currently in service is the Eurofighter Typhoon. 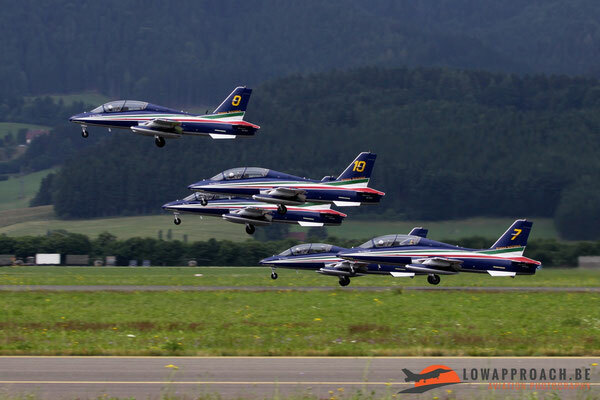 As these are based at Zeltweg it was no surprise that we saw several examples of the type during the day. 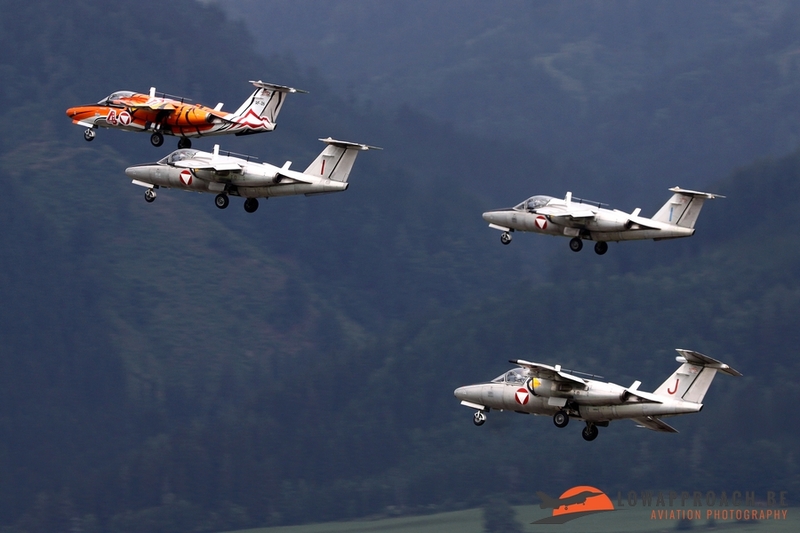 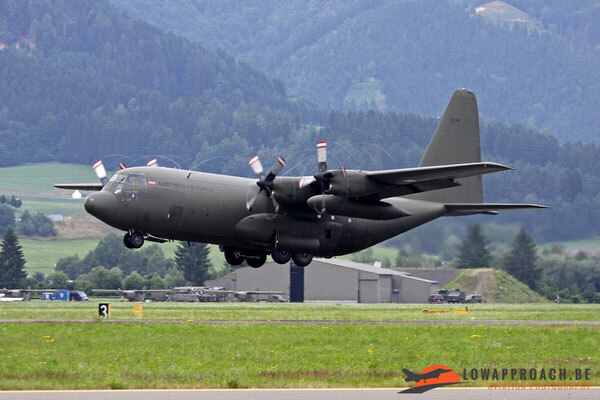 During one of the demonstrations the Quick Reaction Alert was initiated to intercept a ‘hostile’ transport aircraft that had entered Austrian airspace. 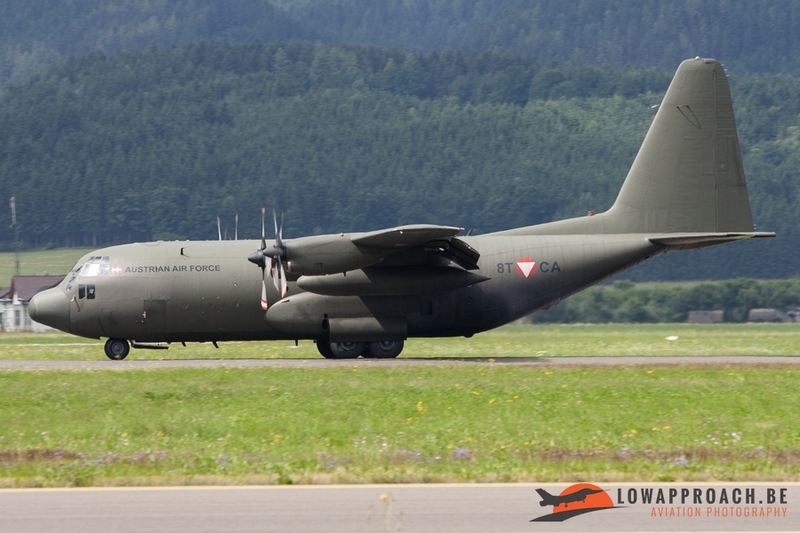 As it was a demo the role of the ‘bad guy’ was played by a Lockheed C130K Hercules. 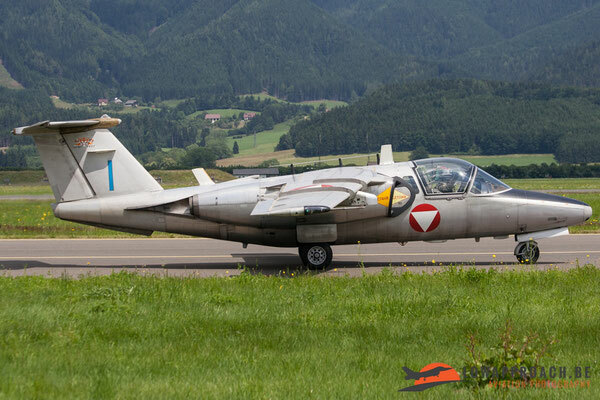 This type entered service a few years ago in Austria when a small number of second-hand aircraft were acquired from the United Kingdom. 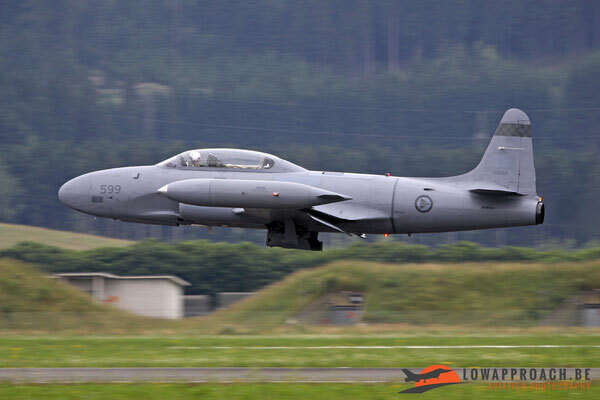 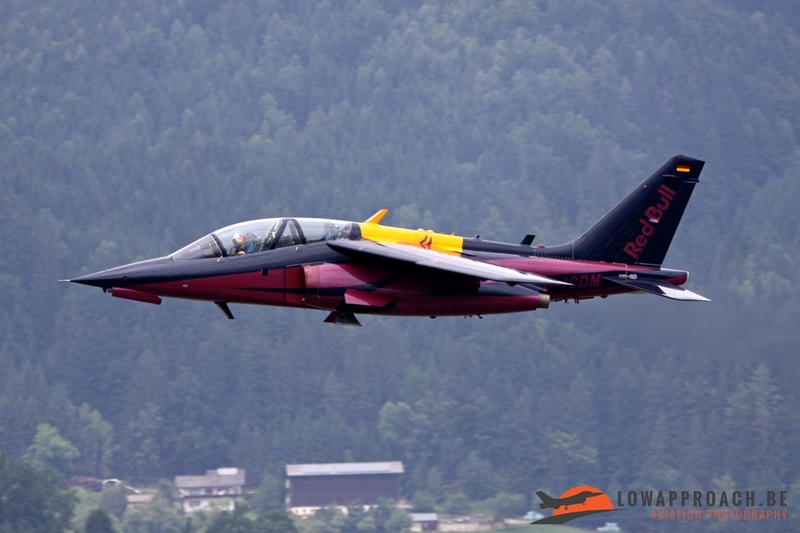 Second jet aircraft in service with the Austrian Air Force is the Saab J105Ö. 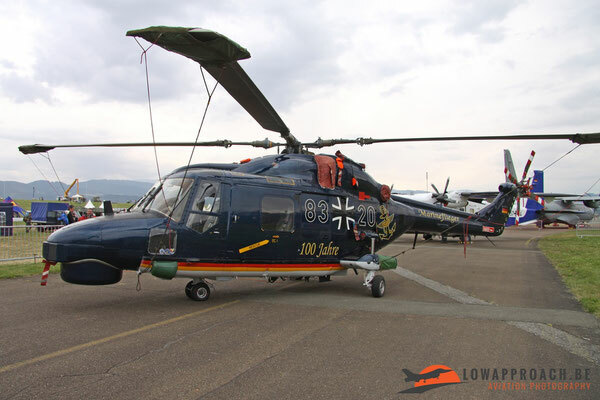 This aircraft is used by the Düsentrainerstaffel for advanced training. 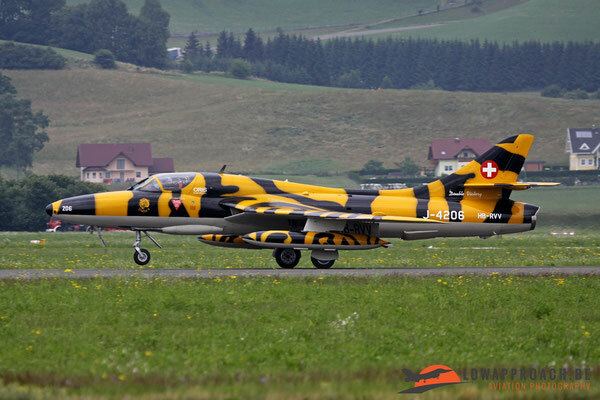 This unit is a honorary member of the NATO Tiger Association and one of its aircraft is wearing a ‘Tiger’ color scheme. 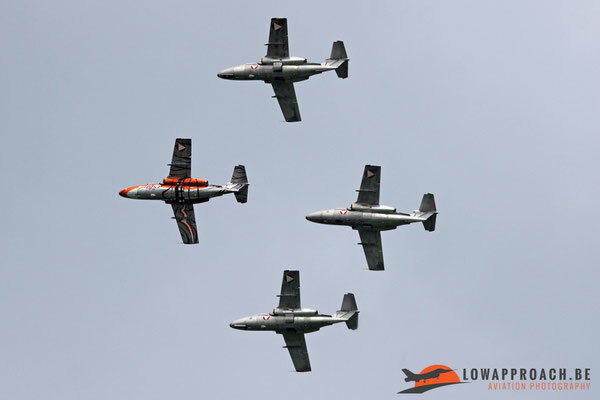 During Air Power 2013 the unit performed a number of formation fly-bys with 4 aircraft. 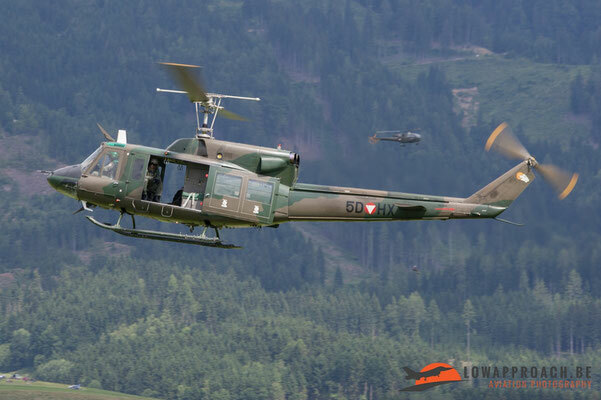 A next demonstration involved the capabilities of the Austrian helicopter force. 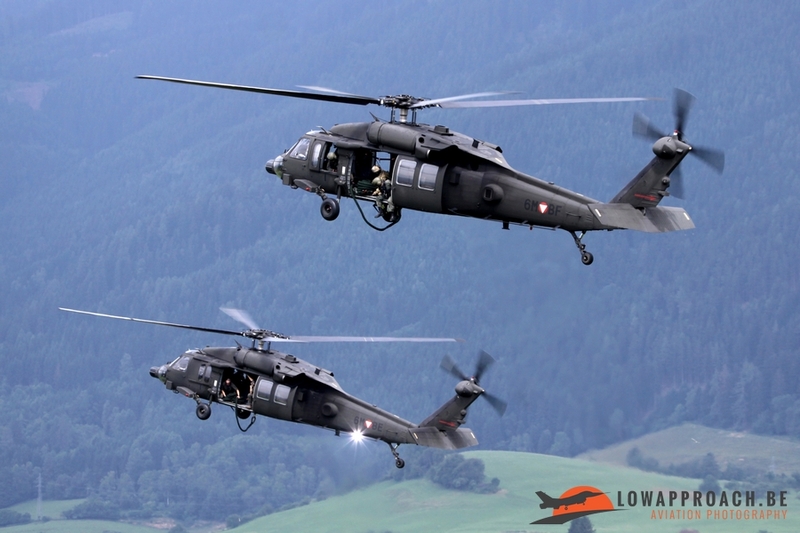 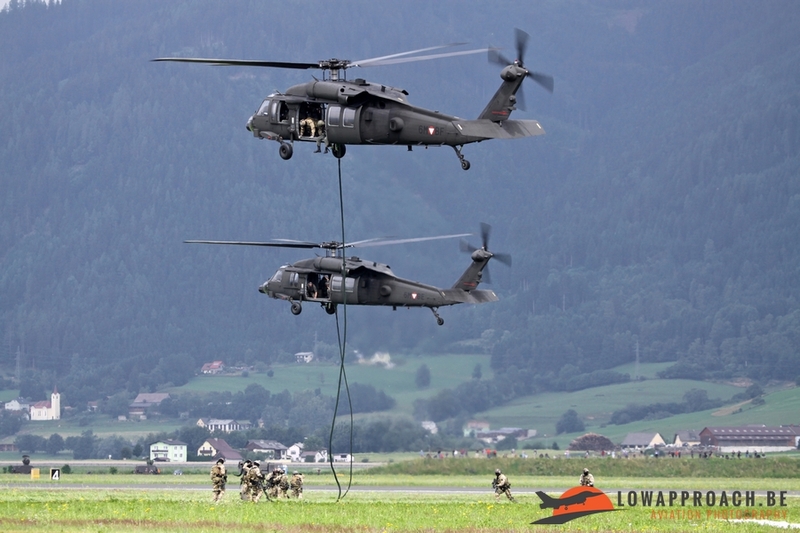 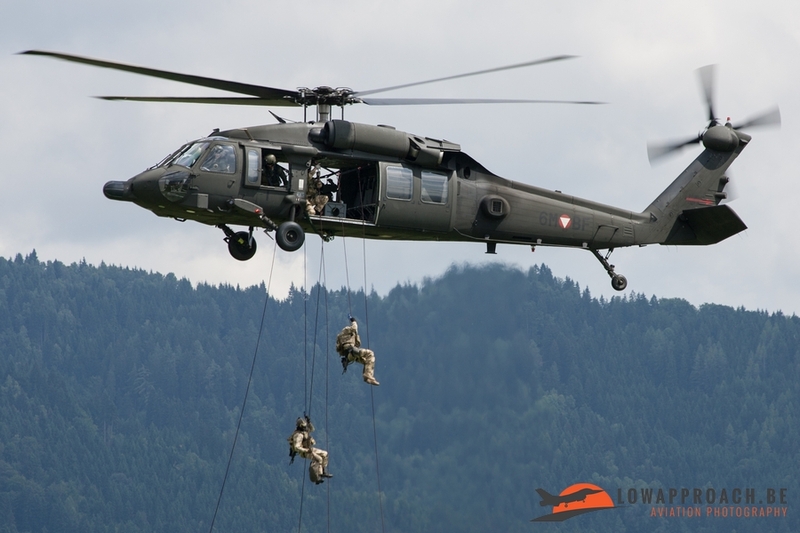 Albeit Austria is a relatively small country, the difficult terrain requires a potent helicopter fleet to ensure that troops are moved around quickly. 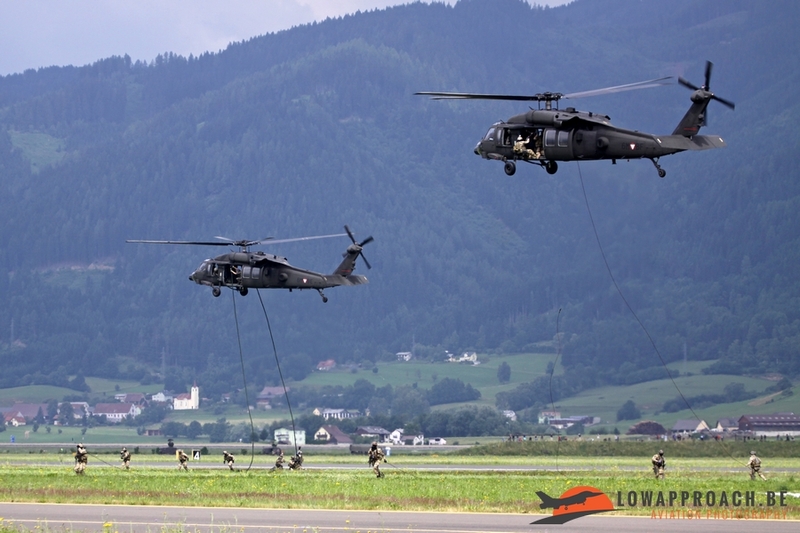 An airfield attack was performed with Sikorsky S70A Blackhawks and Agusta-Bell AB212s dropping off commandos with their equipment. 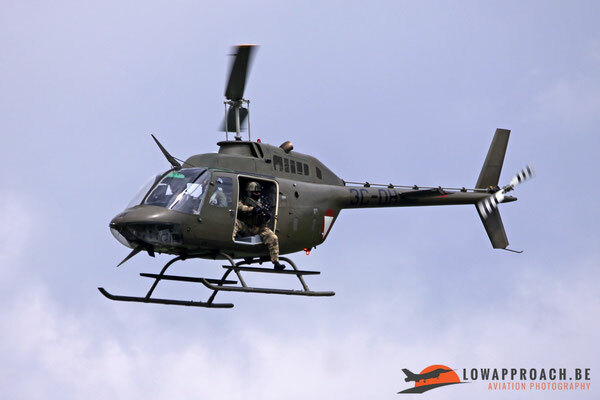 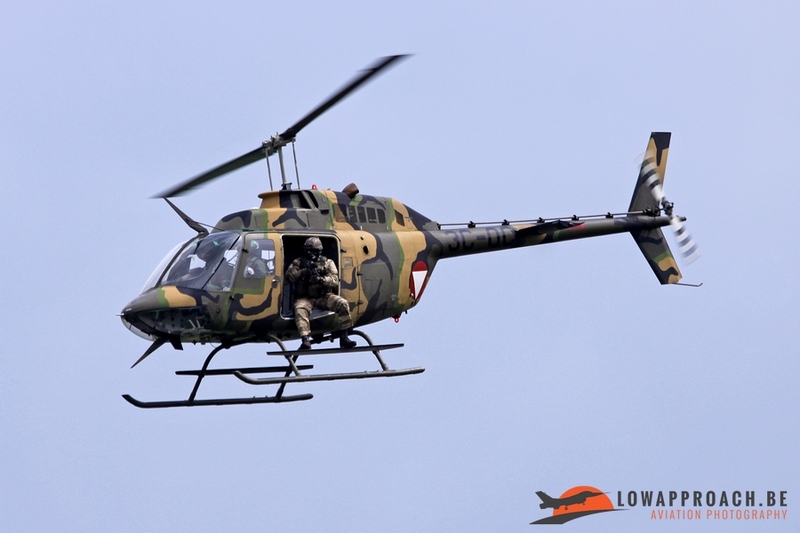 To provide cover also a number of Bell OH58B Kiowas were involved in the operation. 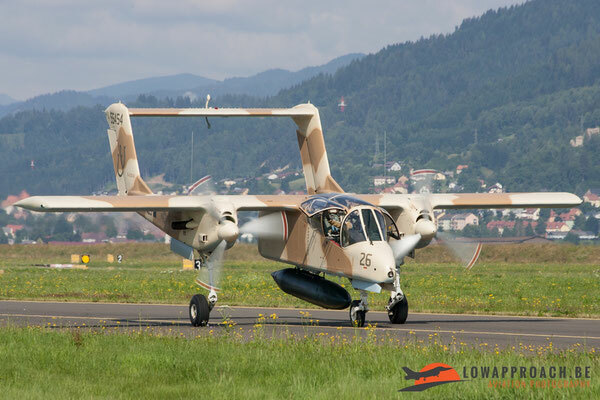 Another Austrian Air Force type that participated during the show was a specially decorated Pilatus PC7 primary trainer. 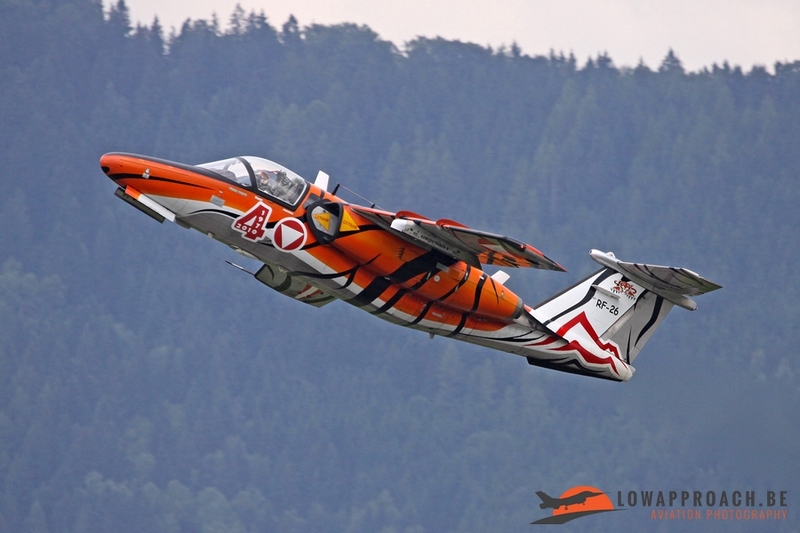 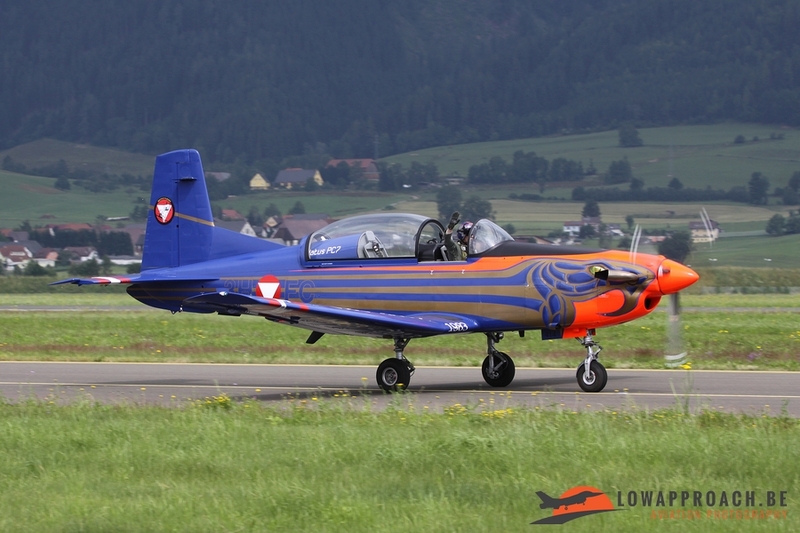 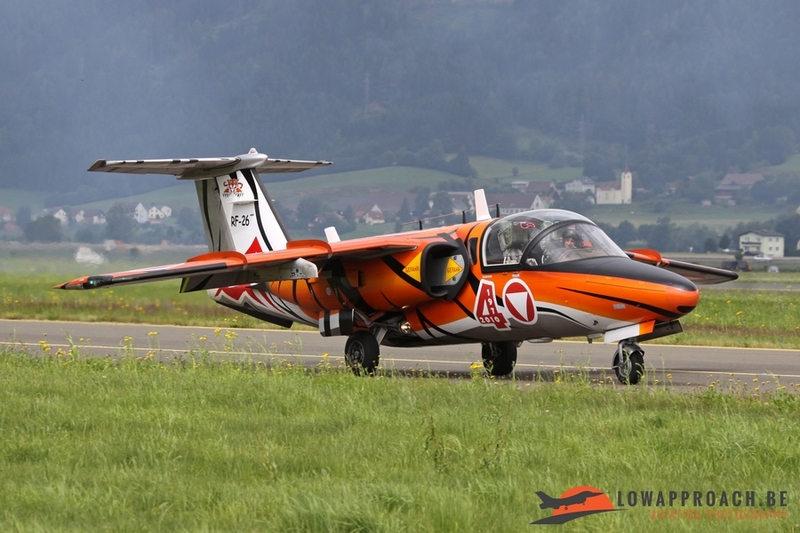 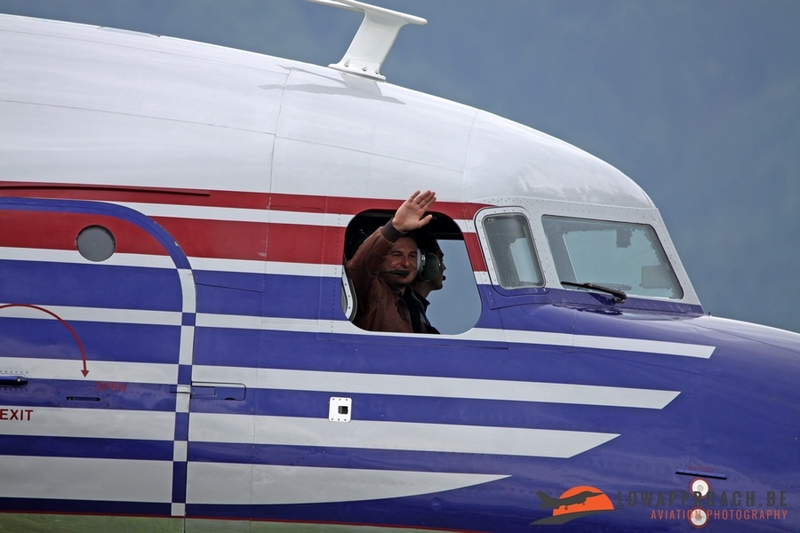 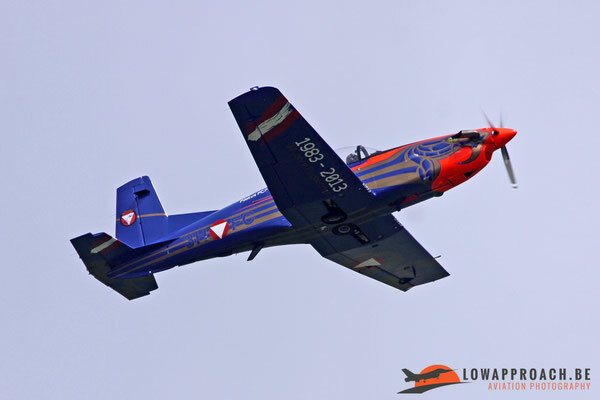 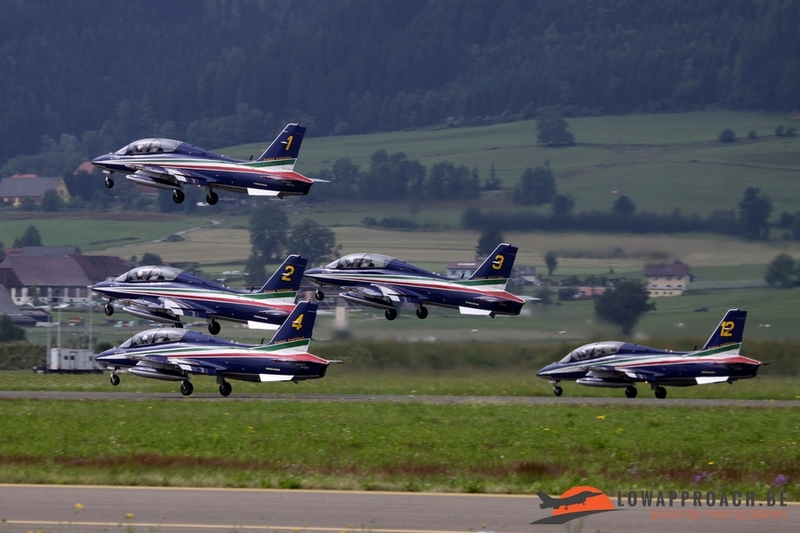 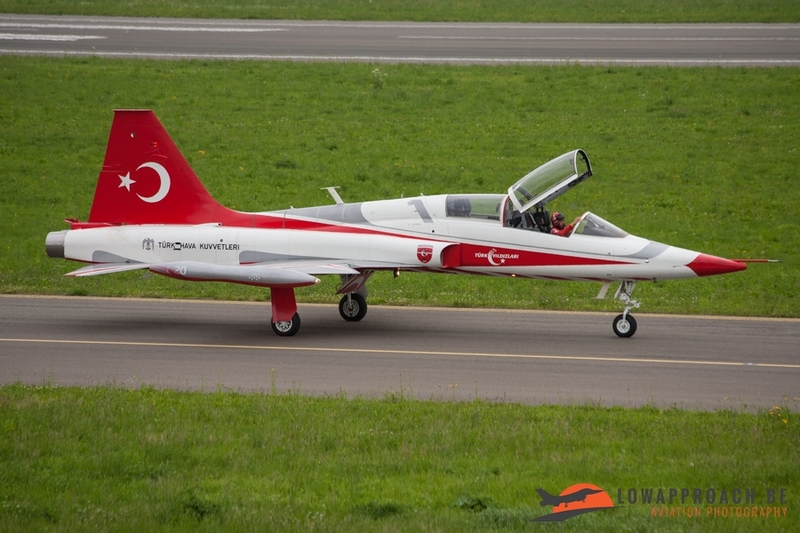 The special paint was applied to commemorate the 30th Anniversary of the PC7 in Austria. 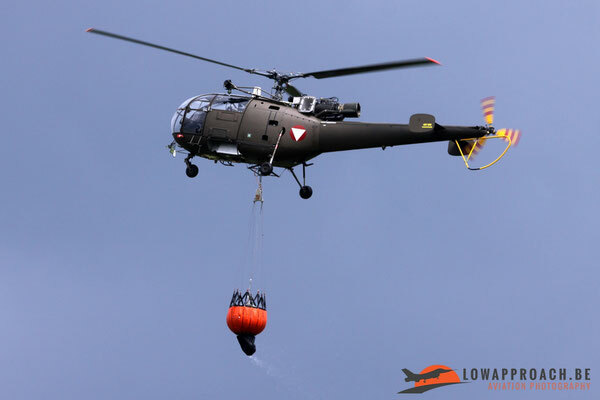 A somewhat older type in service is the Sud Aviation Alouette III, which is used in the liaison, fire fighting and mountain rescue role. 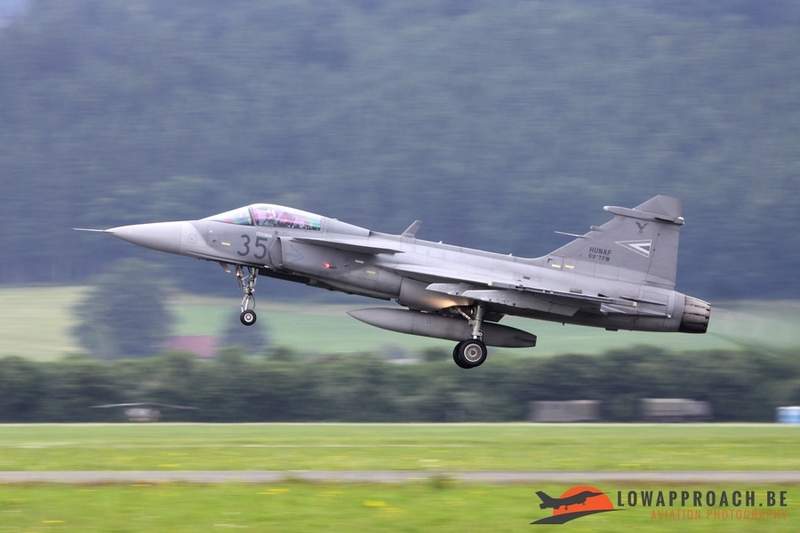 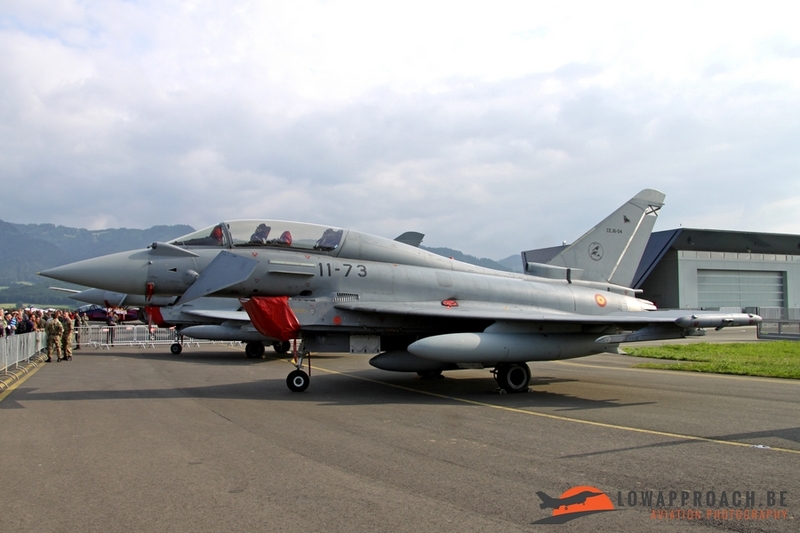 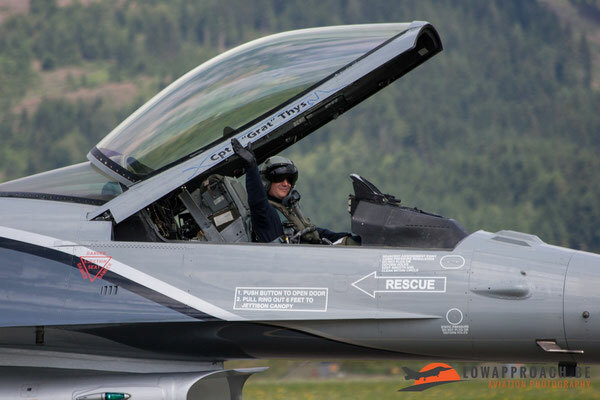 For Air Power 13 Austria had also invited military participants from various other European countries. 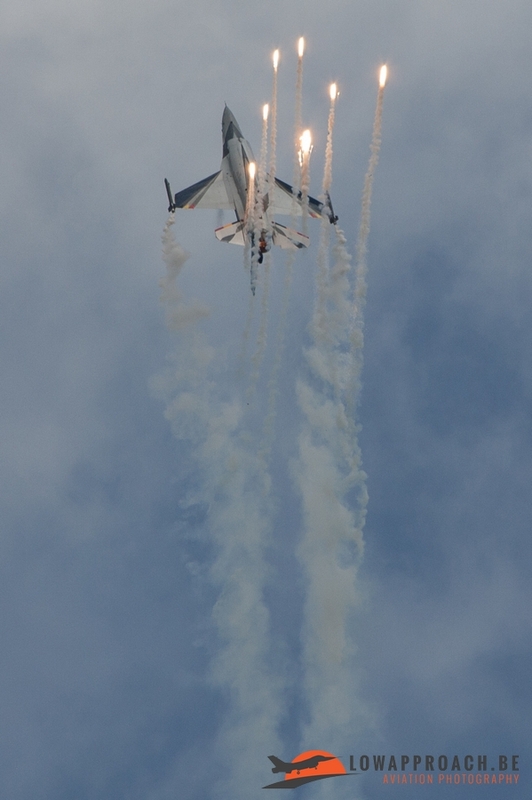 One of them was the F16 Flying Display from the Belgian Air Force flown by Capt.’Grat’ Thys from No 2 Wing at Florennes. 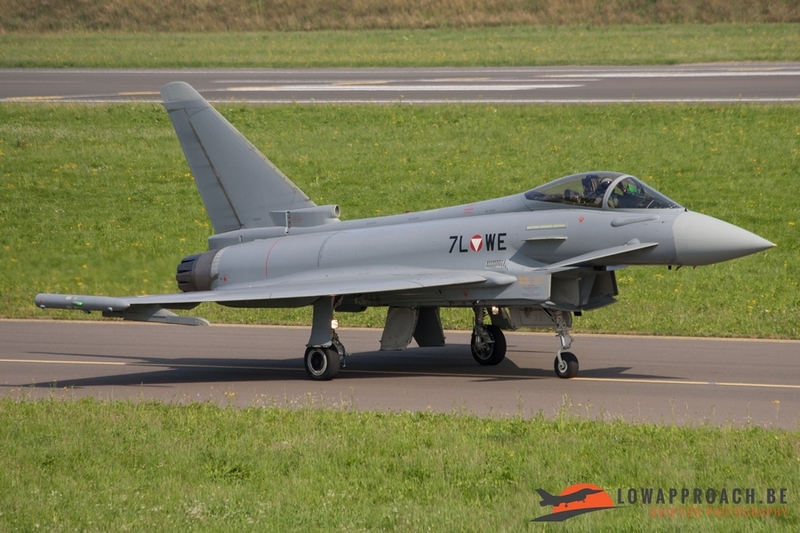 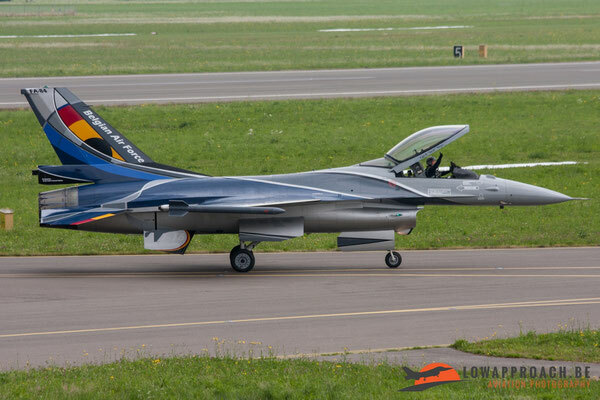 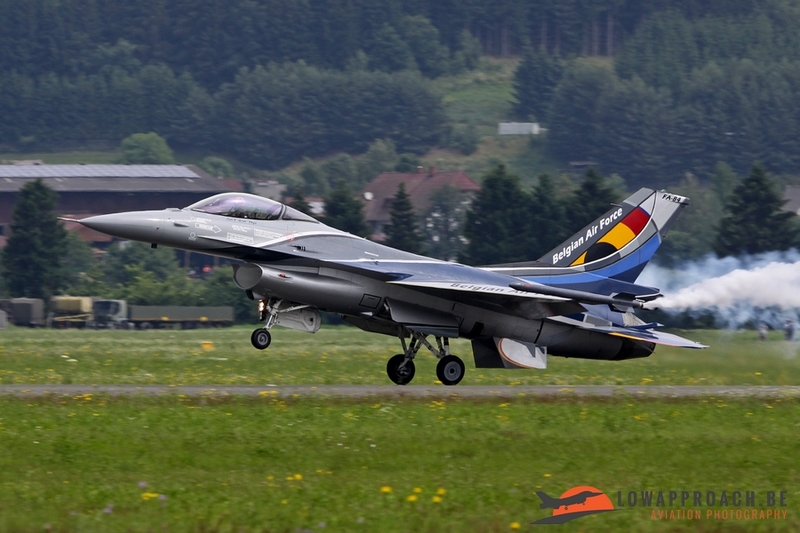 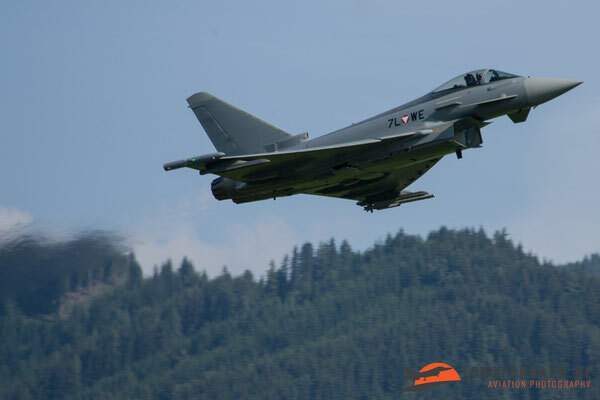 Additional military demos came from the Royal Netherlands Air Force F16-team, the Hungarian Saab Gripen, and a number of military teams, such as the Frecce Tricolori from Italy, the Patrulla Aguila from Spain and the Turkish Stars. 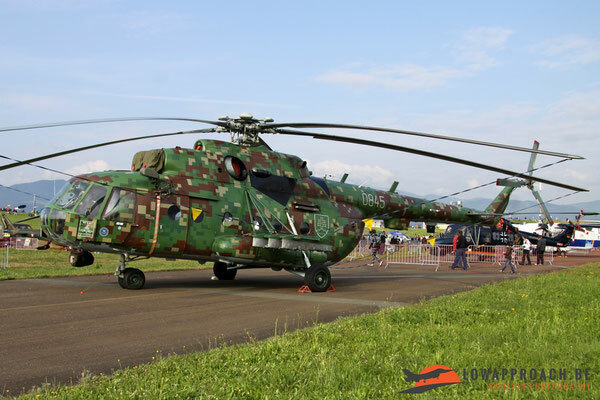 In the static more visiting military aircraft were present. 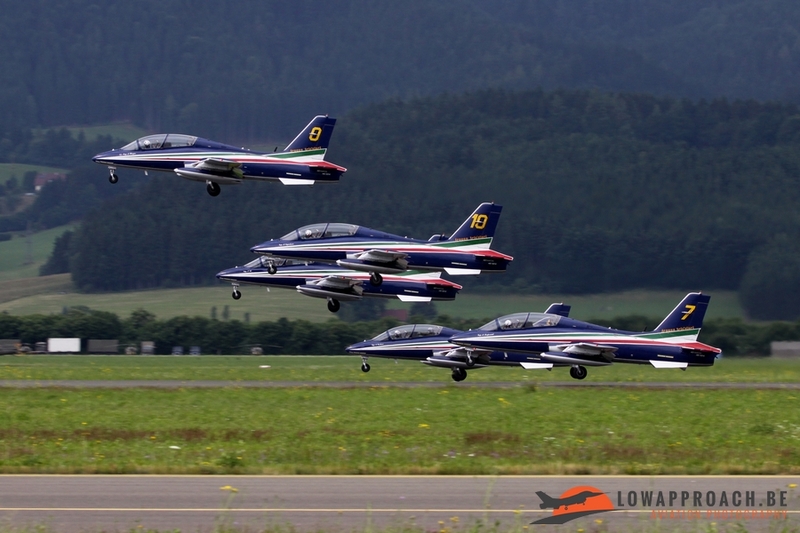 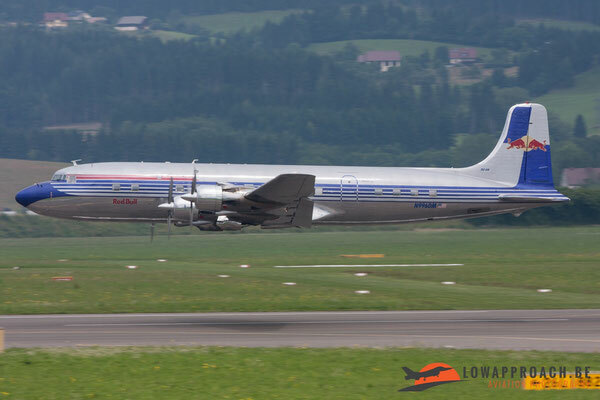 For the static one has to bear in mind that photographing the static at Zeltweg is quite challenging. They have the habit of placing the fences quite close to the aircraft making it very difficult to make a decent shot, this is clearly a point for possible improvement. 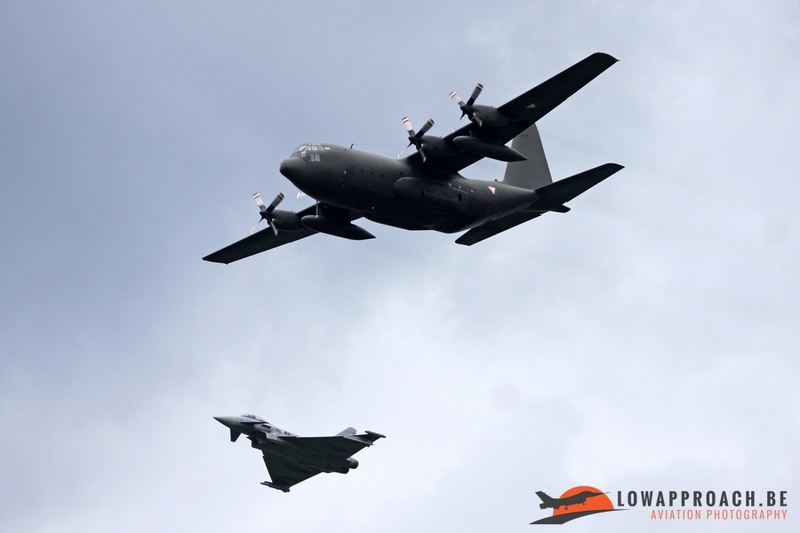 Among the aircraft present were a Eurofighter EF2000T Typhoon from Spain and a rarely seen Antonov An26 from Serbia. 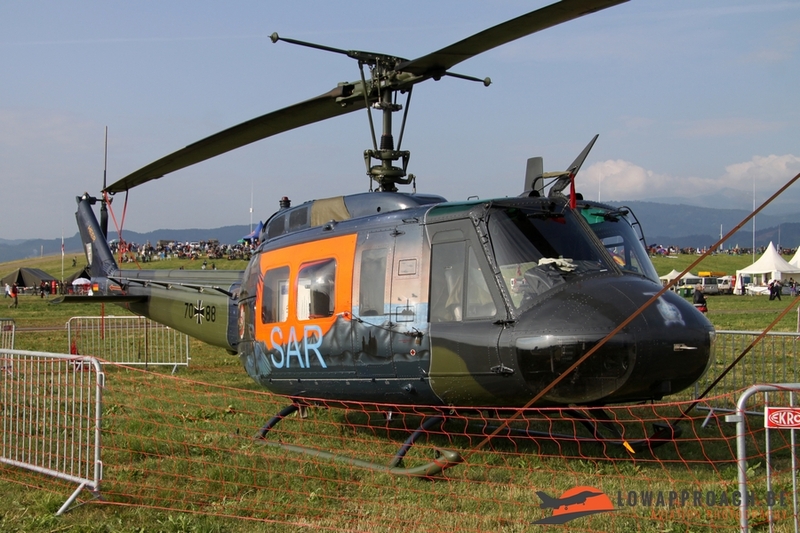 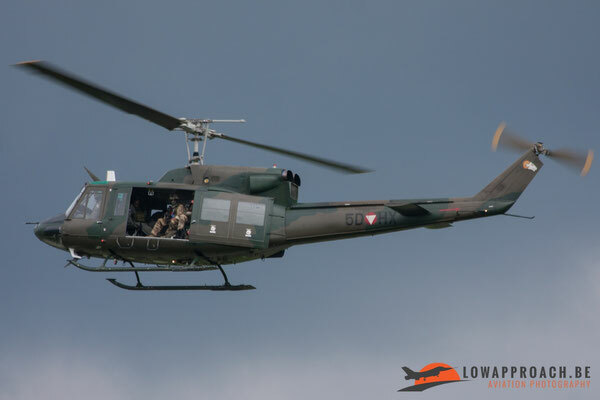 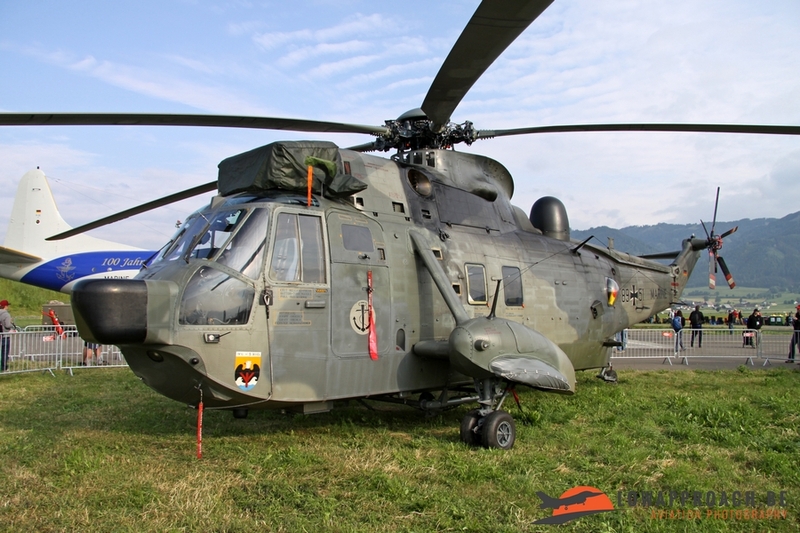 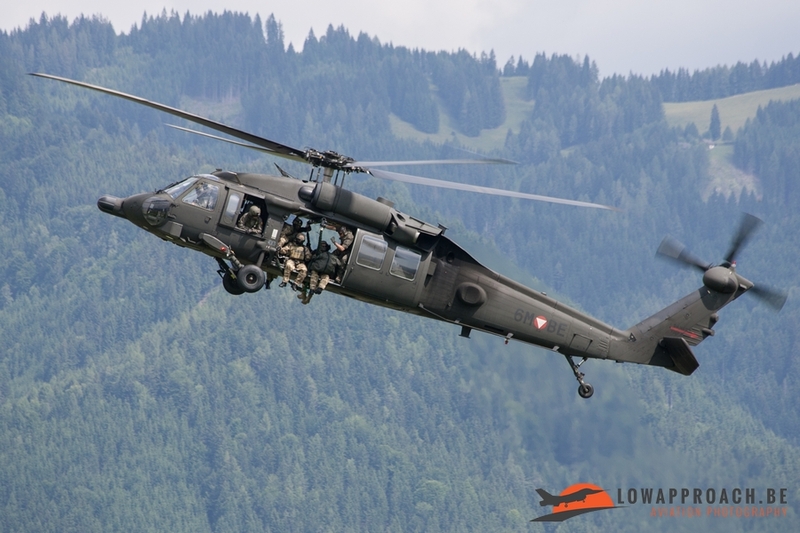 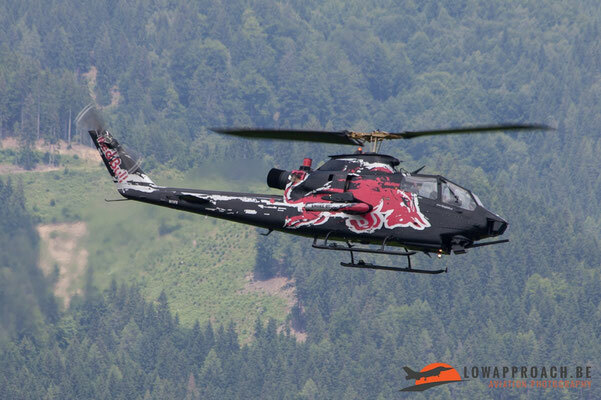 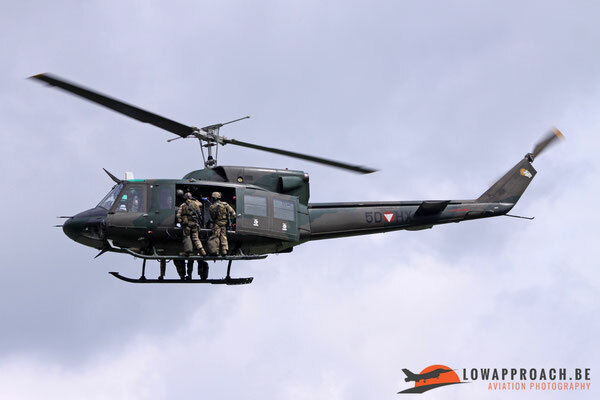 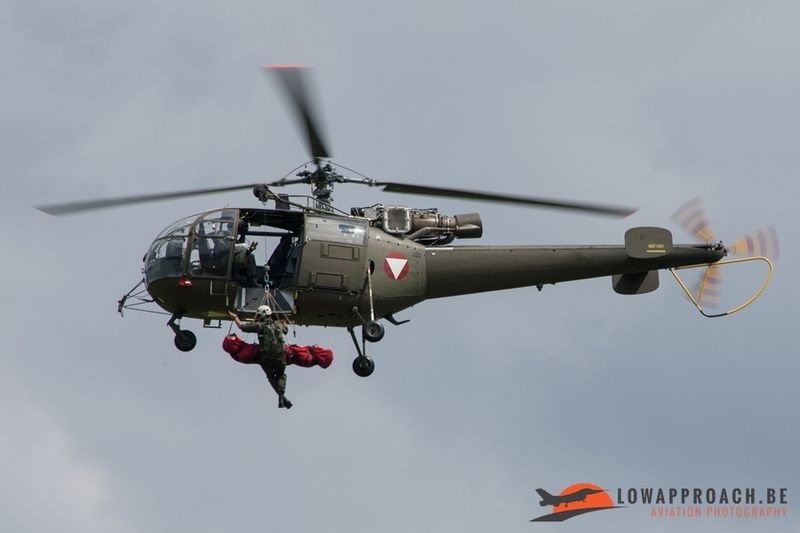 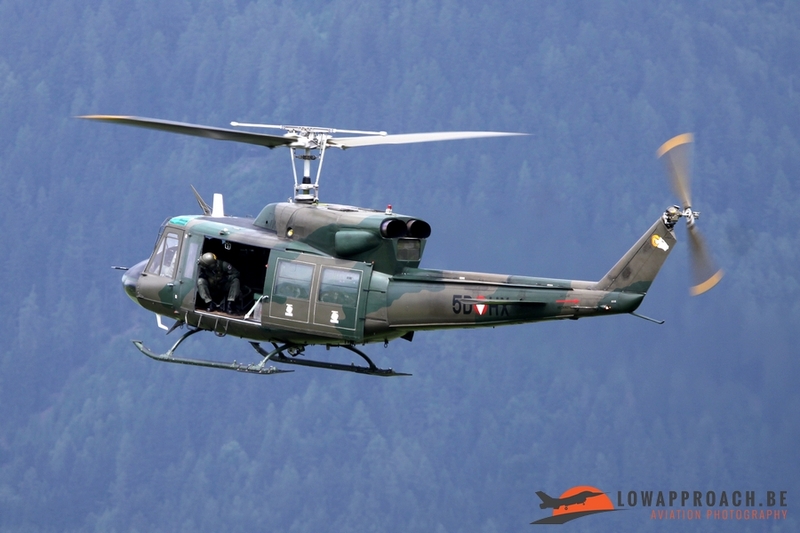 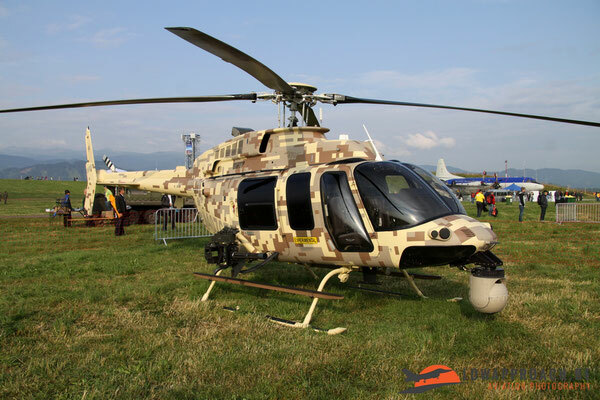 The Slovak Air Force provided a digitally camouflage Mil Mi17 and Germany provided a large contingent with a specially marked Bell UH1D Iroquois from the Army and a Westland Super Lynx, Westland Sea King and Dornier Do228-212 maritime patrol aircraft from the Navy. Helicopter Bell-Textron was on the static with a 407GT Demonstrator, also in a digital desert camouflage. 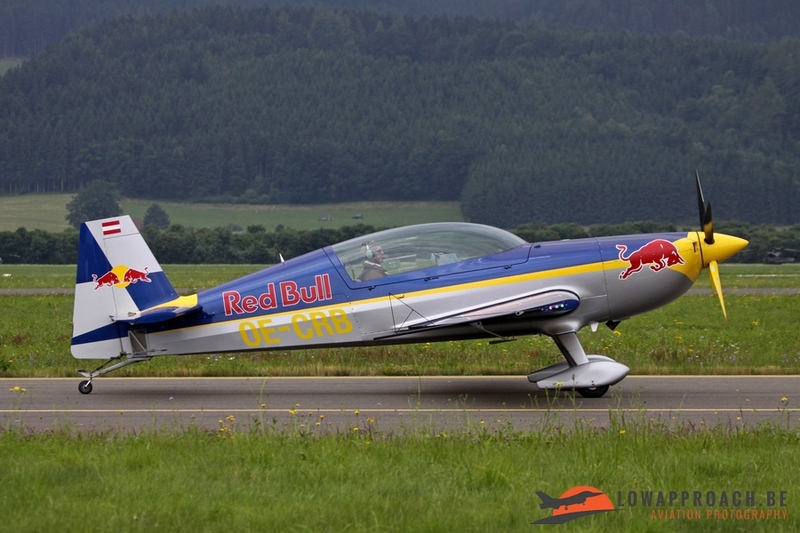 Traditionally the main sponsor of the event is Red Bull. 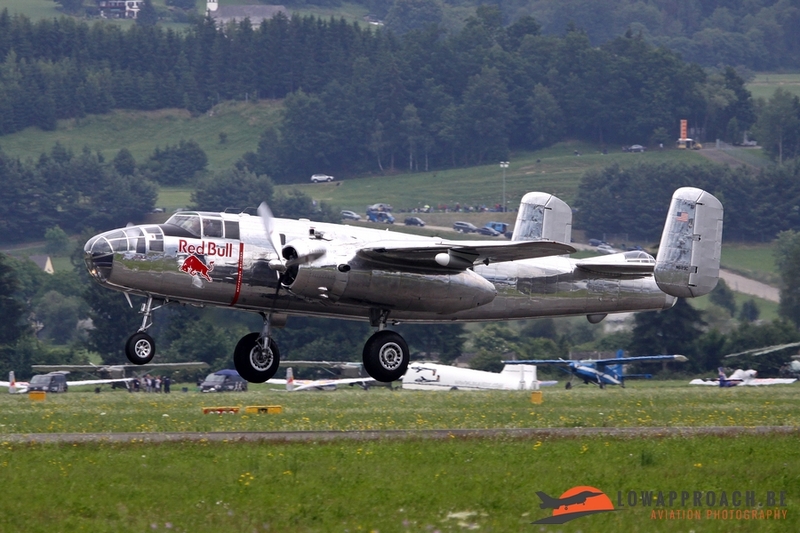 This Austrian soft drinks company has invested large amounts of marketing funds in an aircraft collection which is based at Salzburg. 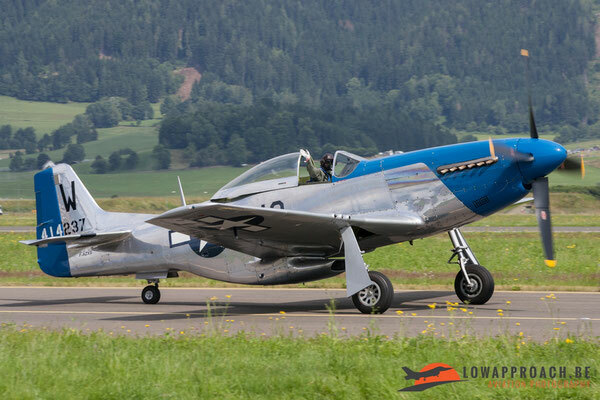 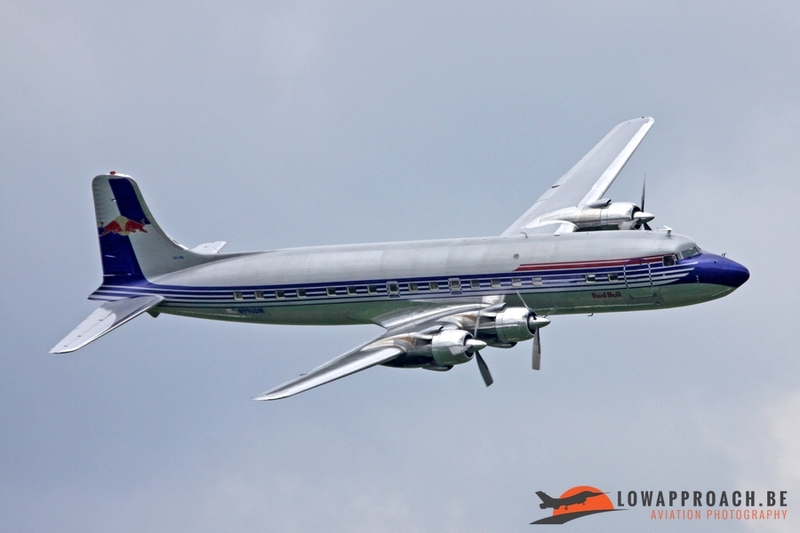 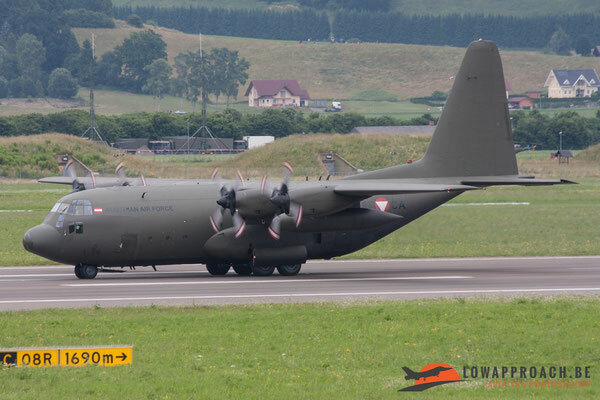 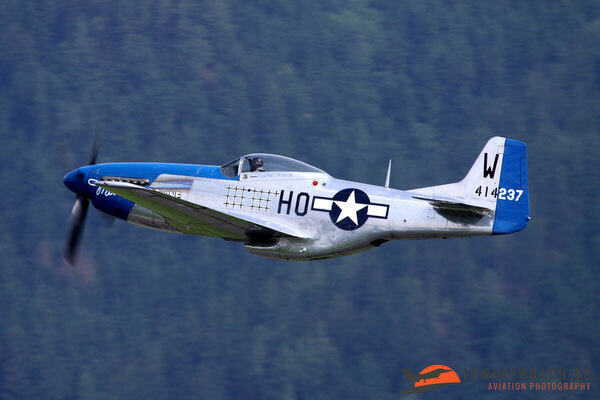 It is thus no surprise that virtually all these aircraft were present at Zeltweg either in the air or on the ground. Noted were a pair of ex-Luftwaffe Dassault Alpha Jets, their beautifully restored Douglas DC6B, a Cessna Ce337D Skymaster, a Cessna 208 Caravan I fitted with floats, Pilatus PC6-B2H4 Turbo Porter, Bell 47G and the for Europe unique Bell AH1F Huey Cobra. 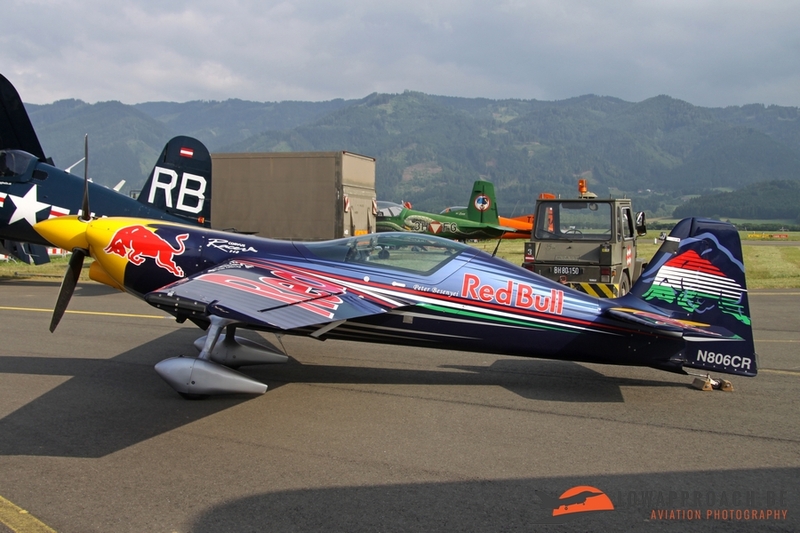 Another aviation area where Red Bull is heavily involved in is aerobatics. 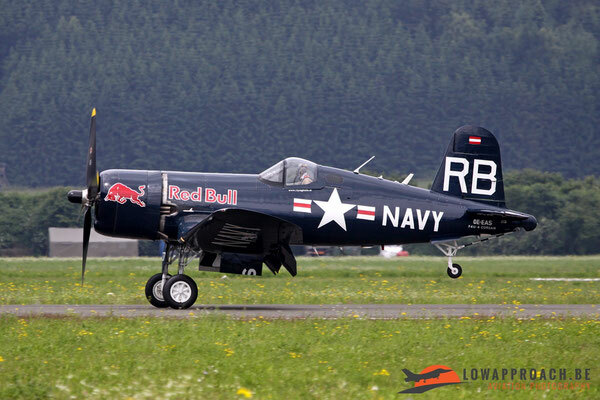 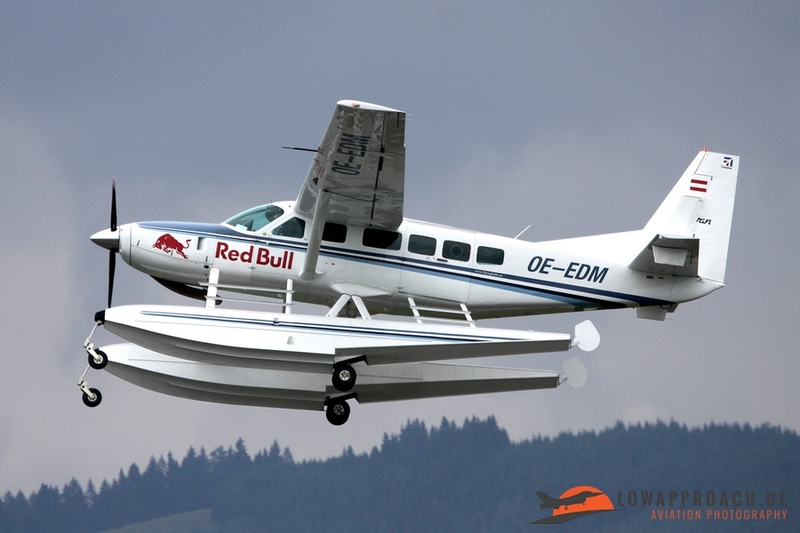 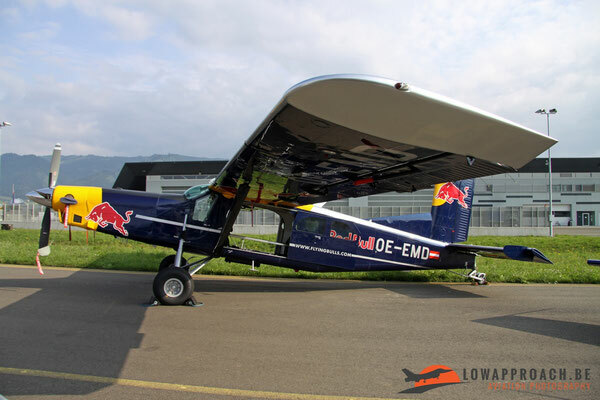 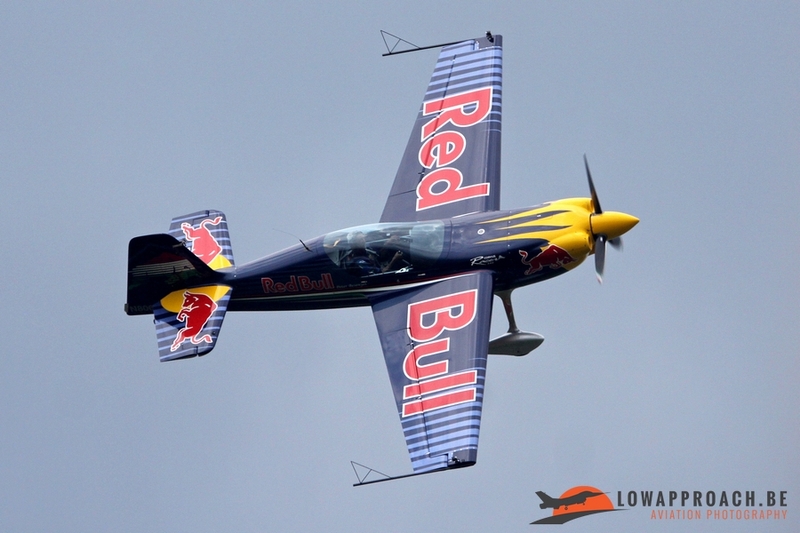 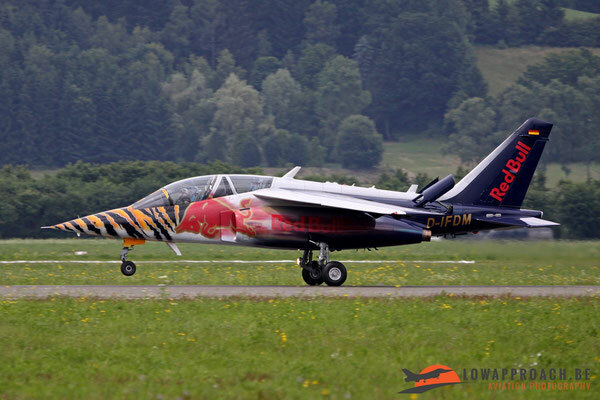 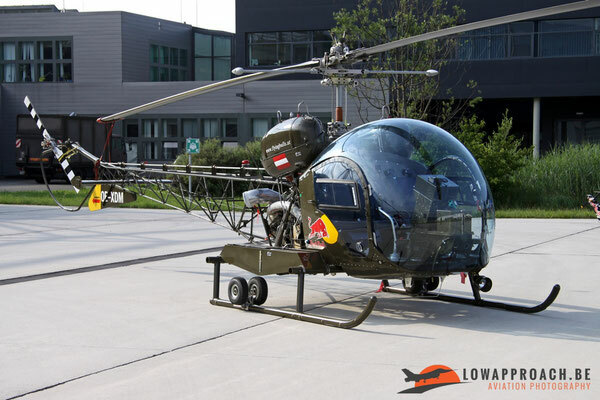 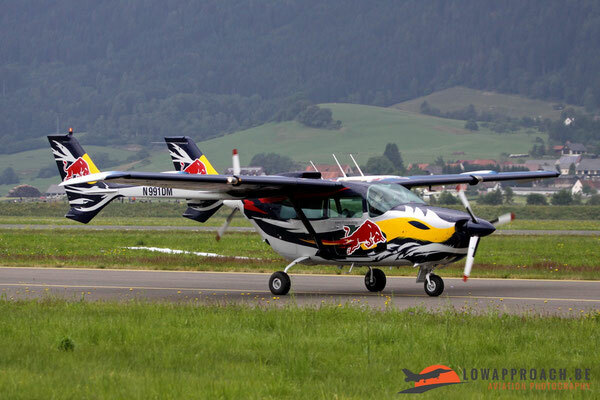 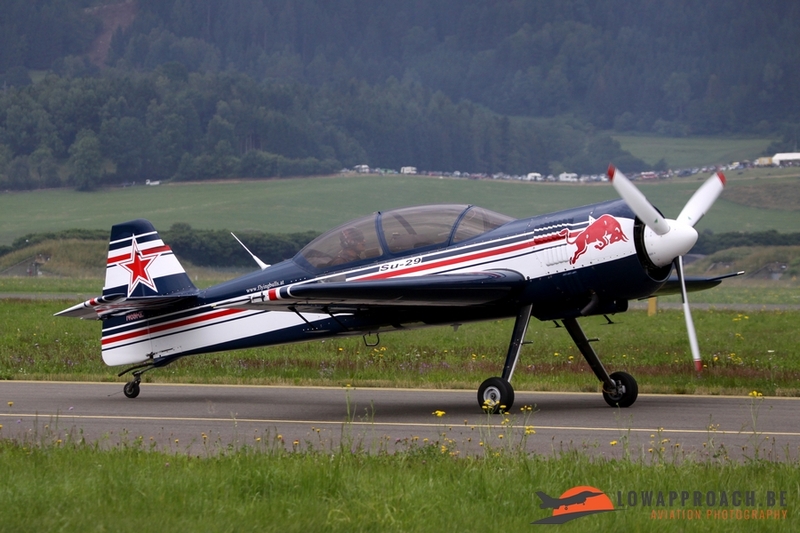 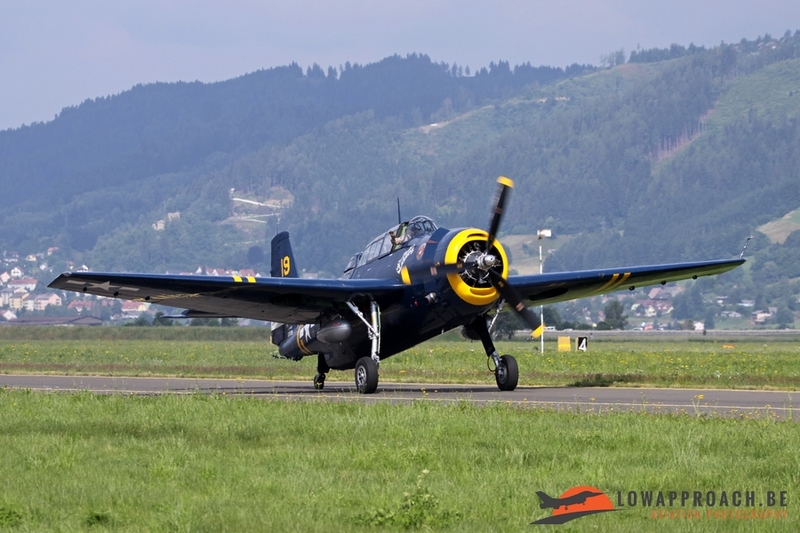 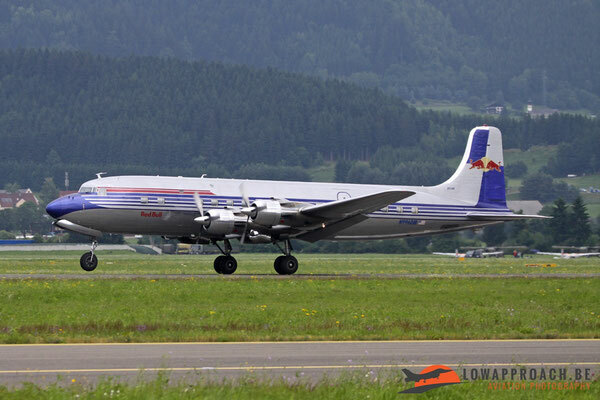 The Red Bull Air Races are well-known worldwide and a number of these aircraft were also present at Zeltweg. 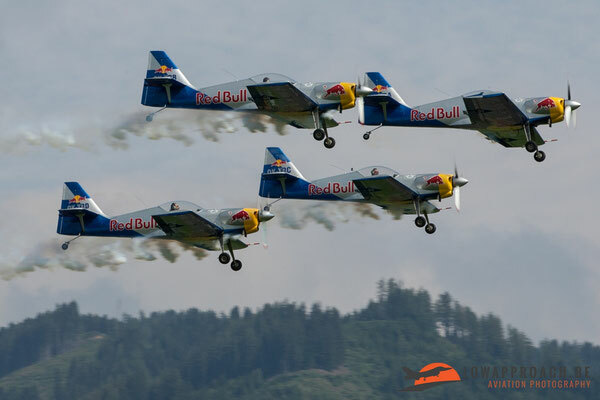 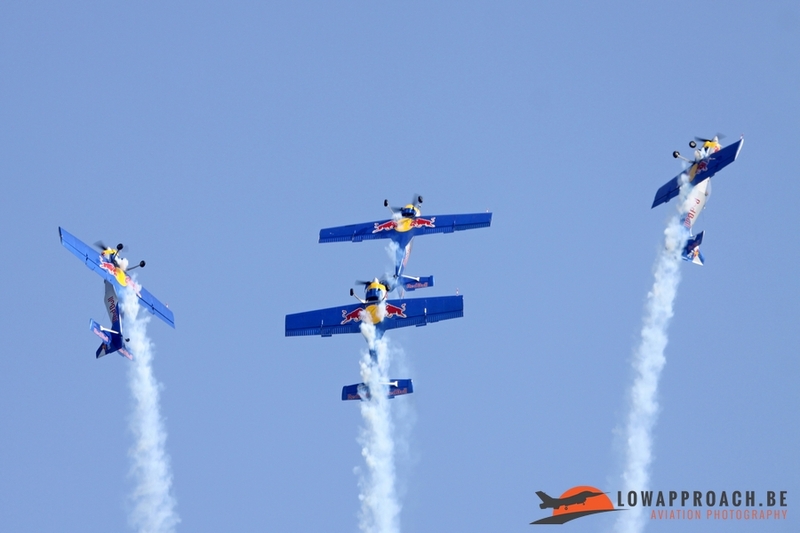 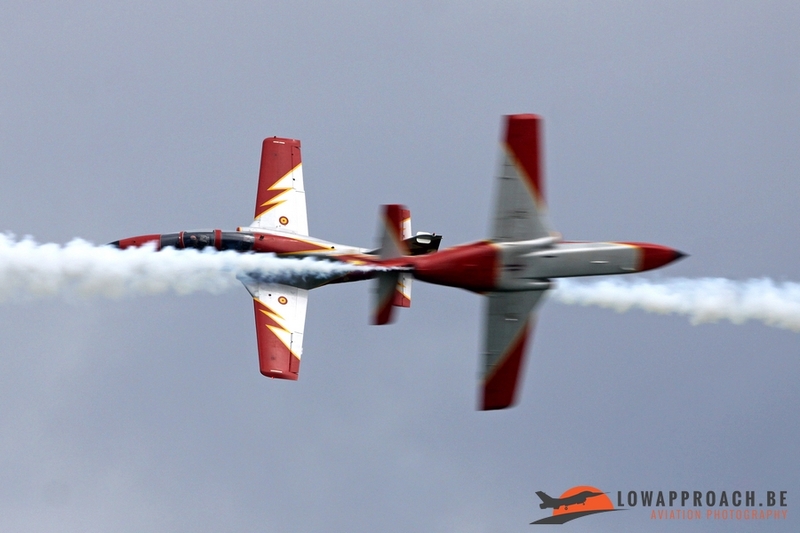 Including a Russian Sukhoi Su29, an American Corvus CA41 Racer and a German Extra 300L, and off course Red Bull sponsored Flying Bulls aerobatics team with their Czech Zlin 50L were present as well. 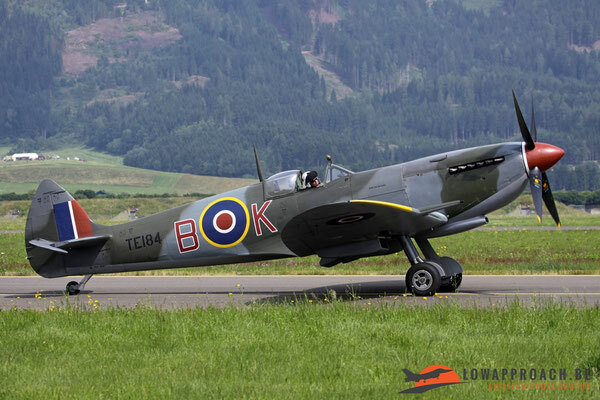 The last section of this report I want to dedicate to the significant number of warbirds that participated in Air Power 2013. 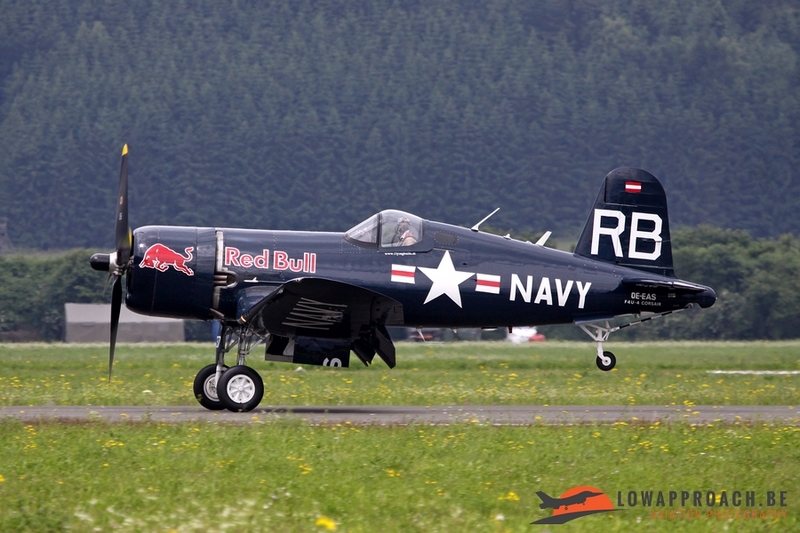 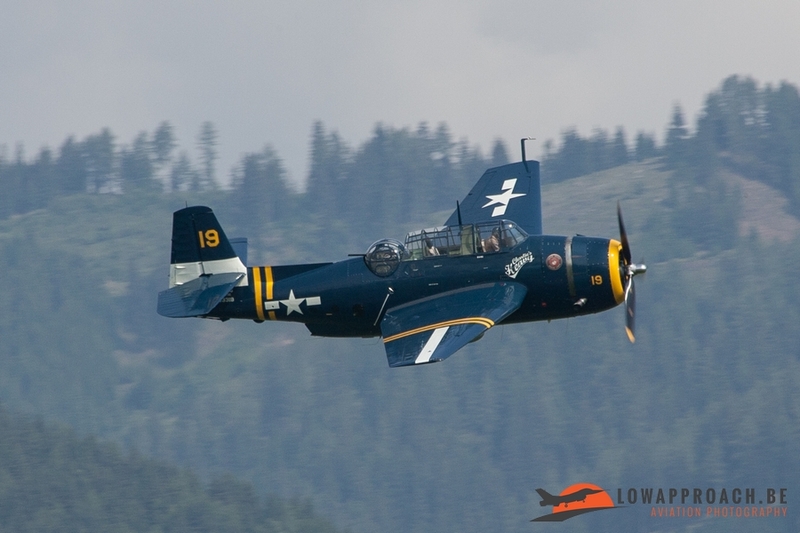 From the World War II period many major aircraft types were present, such as the Supermarine Spitfire, North American P51D Mustang, Grumman TBM3R Avenger and the Vought F4U-4 Corsair. 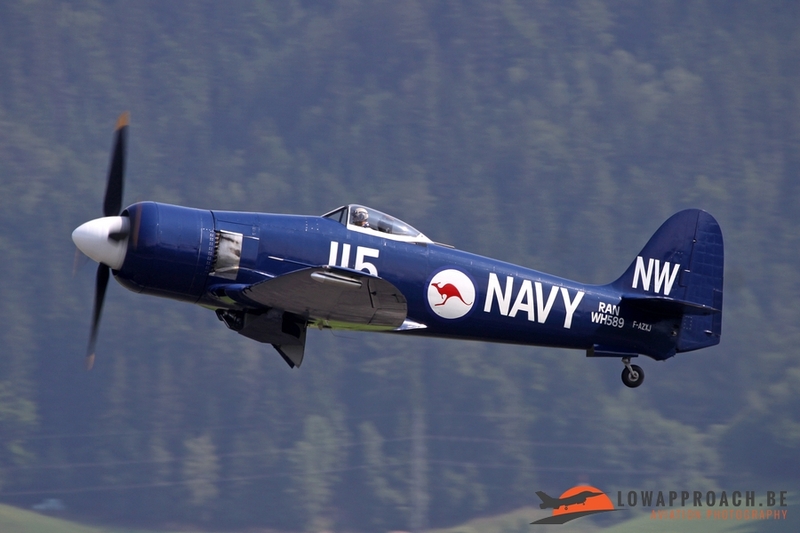 To finish of the line-up a Hawker Sea Fury and North American B25J Mitchell participated in the flying display. 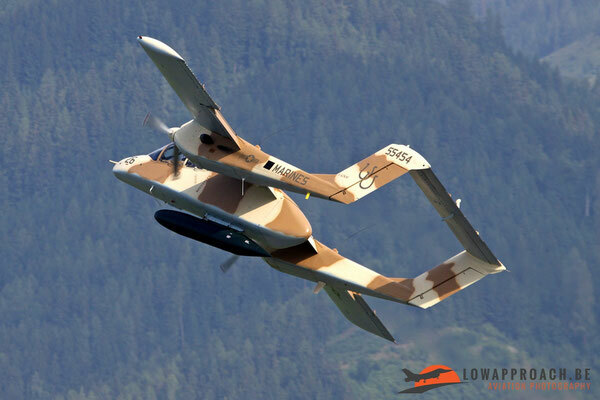 From the Vietnam era there was a Rockwell OV10B in desert camouflage. 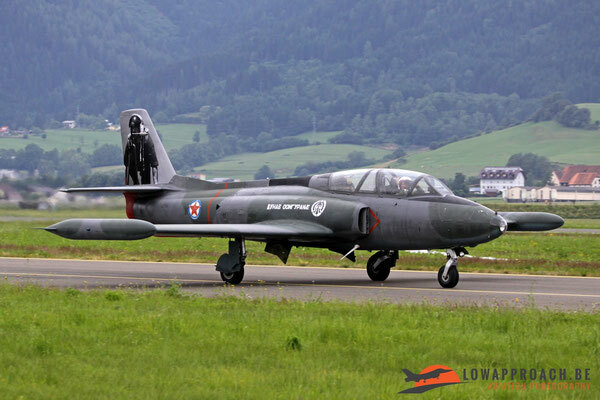 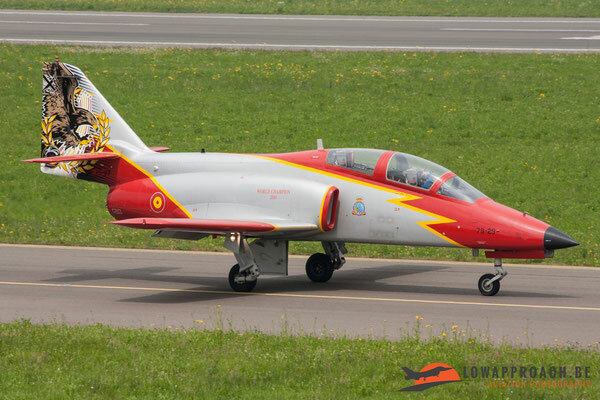 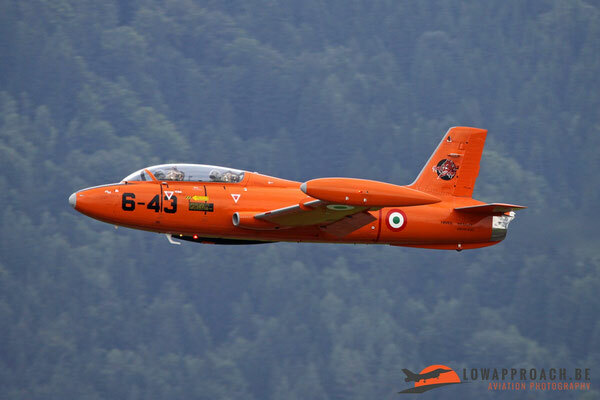 Also a number of jet warbirds were on the flightline with a Canadair CT133A Silver Star (Canadian build Lockheed T33A T-Bird), the last airworthy Aermacchi MB326 and a Hawker Hunter T68 still wearing his Tiger colors from his days with the Swiss Air Force. 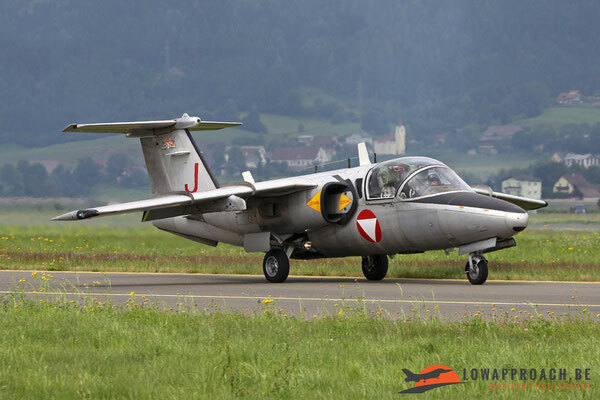 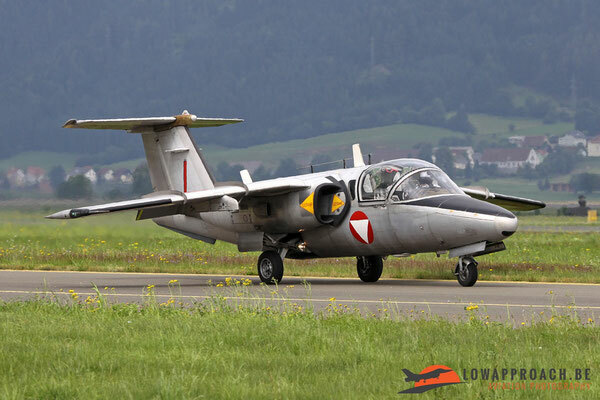 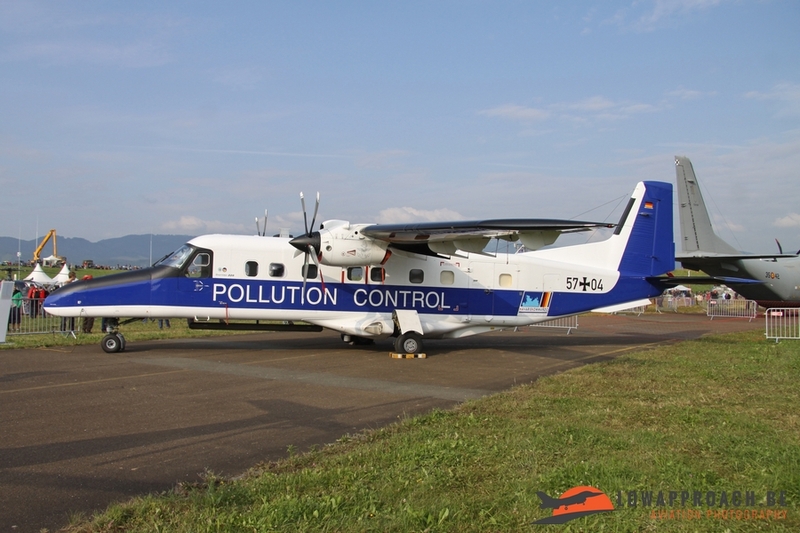 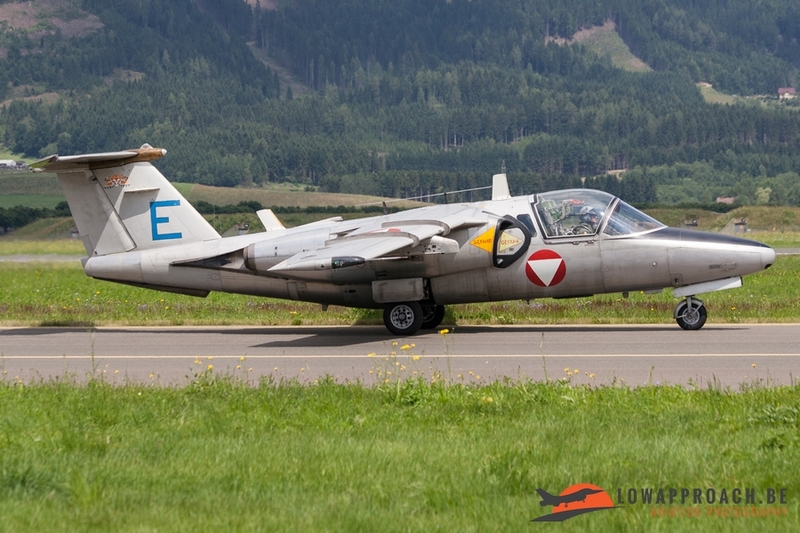 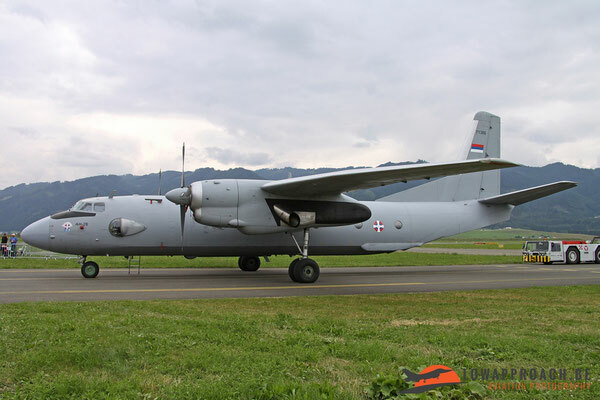 Finally there was a rare Soko G2 Galeb, which made the trip to Zeltweg from Serbia. 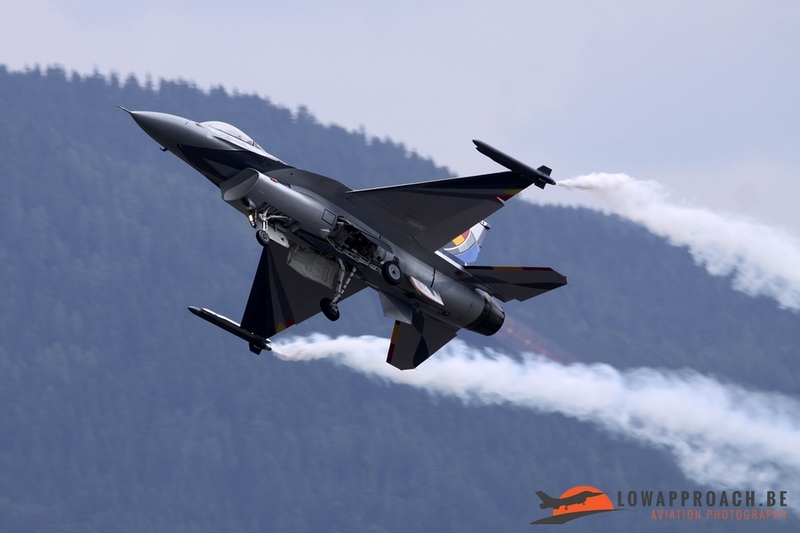 Air Power is in theory organized on a bi-annual basis, but last year its future was somewhat uncertain due to continued budget cuts in the Austrian military. 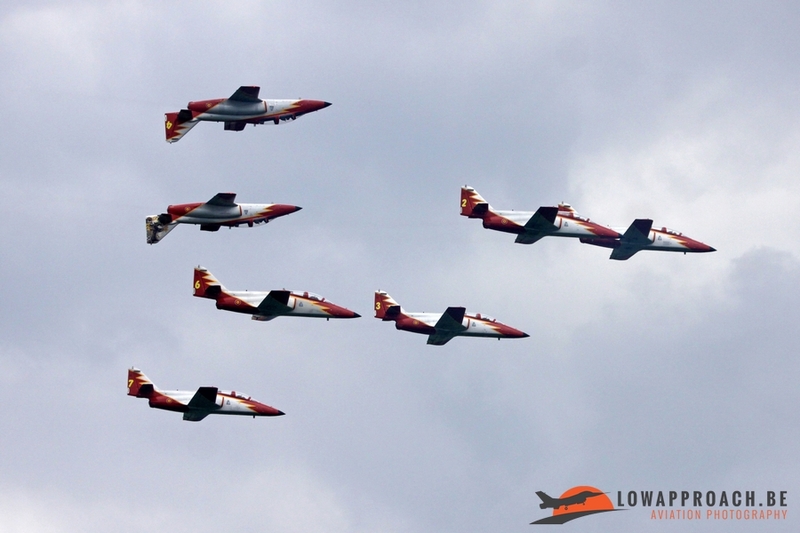 So I was pleased to hear earlier this year that in 2016 a new edition will be organized. Entrance was free, although nothing has been announced if this will be the case this year. Zeltweg is best-known for its good photo opportunities, with the mountains in the background. The distance from the runway is not that far and all participating aircraft taxi in front of the crowds before or after their display routine, so giving everybody the chance to see them up close. 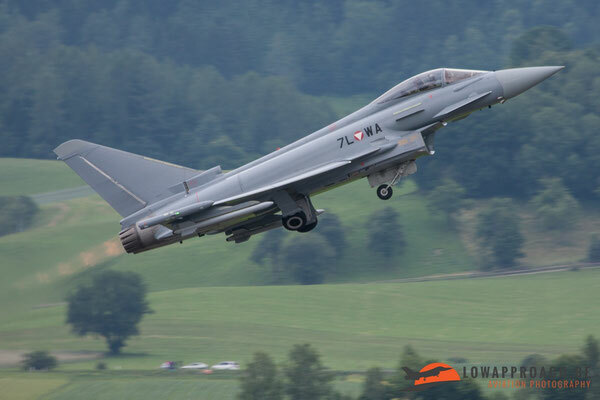 The program is a nice mix of new and old, and quite some not so common from within Central Europe can be soon, so it’s certain worthwhile to make the trip.